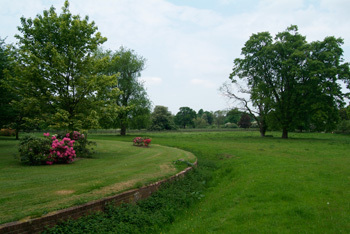 The parkland is part of the ancient manor of North Mymms, where in 1599 Sir Ralph Coningsby built the beautiful manor house in anticipation of a visit from Queen Elizabeth. One of the great rooms of the house boasts 10 magnificent murals of leaders through history, including Queen Elizabeth. Unfortunately for Sir Ralph, the Queen died in 1601 and her visit never happened. Sir Ralph’s son, Sir Thomas Coningsby, inherited the house and rose to become High Sheriff of Hertfordshire. A loyal supporter of King Charles I, in 1642 he was asked by the King to raise an army in Hertfordshire and join the King. But he was thwarted in his attempt by Cromwell, who defeated him in St Albans and subsequently ransacked North Mymms. Sir Thomas was sent to the Tower of London and died soon afterwards. 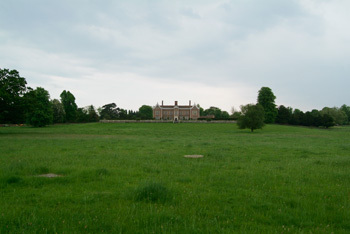 In 1658, the family sold the estate to Sir Nicholas Hyde. Hyde’s grand-daughter, Bridget, married the eldest son of the Duke of Leeds, a prominent adviser to Charles II, and later inherited the estate. 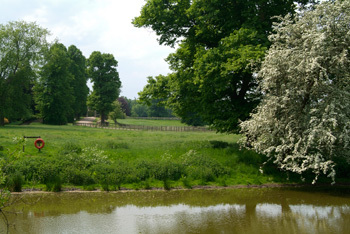 The Dukes of Leeds owned the estate until 1799. In the 19th Century, North Mymms went through several ownerships until it was finally acquired by the Burns family in 1893. With maintenance costs mounting, Major General Sir George Burns sold the mansion house to corporate owners in 1979. However, the parkland is owned by the family to this day.